Home » Posts Tagged "conference committees"
The Conference Committee on House Sub for SB 16 started meeting this morning at 11:00. Conferees represent the Senate Select Committee on School Finance and the House K-12 Budget Committee. 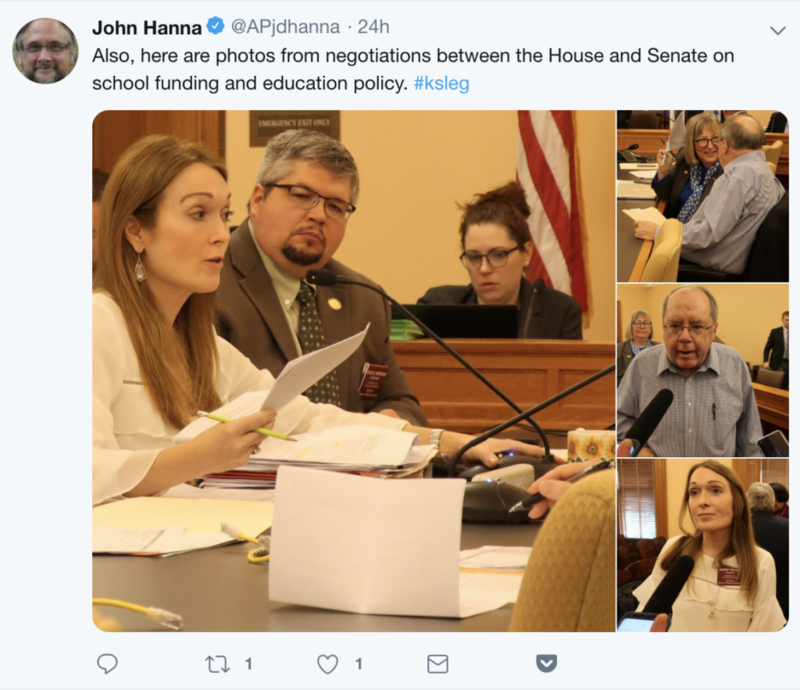 Members of the Conference Committee are Senators Molly Baumgardner (R-Louisburg), Jim Denning (R-Overland Park), and Anthony Hensley (D-Topeka) and Representatives Kristey Williams (R-Augusta), Kyle Hoffman (R-Coldwater), and Valdenia Winn (D-Kansas City). The first meeting was devoted to reviewing the Senate position on school finance – essentially, the Governor’s package to address Gannon increasing the current school finance formula by $90 million per year and making no policy changes to the formula (SB 142) and the House position on education policy contained in House Sub for SB 16 and having no funding for schools at all. Interestingly, they are also discussion House Sub for HB 2395, the Williams/Landwehr school finance bill that repeals the last two years of the current school finance plan as well as the requirement to fund a CPI adjustment into the future. Williams continues to refer to this as the “House position” even though it is not. The House has not passed this bill as they can’t get 63 votes for it on the floor. Under pressure, Williams admitted that it was the House Committee’s position. After a presentation on the issues by staff, questions from Senators were answered. Baumgardner asked about the House positions on out-of-state students (taking them back to full funding), bilingual education (cutting off students who need additional time to master English), the required study of graduation requirements with an eye toward allowing financial literacy and computer science to count as math and science credits, and the formation of an IT commission. Hensley asked why the House wanted to repeal the provision calling for reimbursement of 92% of the excess costs of special education. Other questions focused on changes to transportation, the proposed bullying hotline, and bond caps. 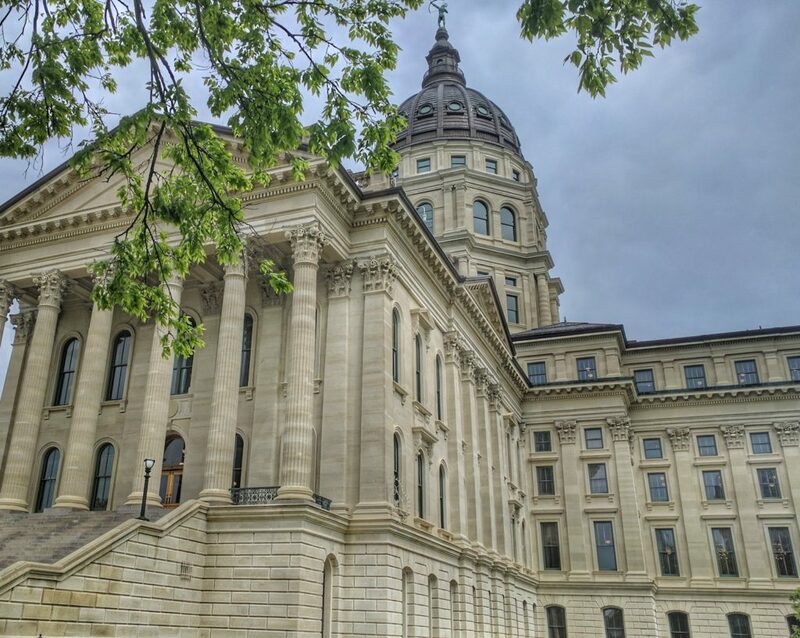 Accept the House position in SB 16 on ACT and ACT workkeys requiring the KSBOE to provide ACT exams and 3 workkeys assessments for students in grades 11 and 12, and pre-ACT exams for students in grade 9 for school year 19-20 and beyond. Accept the House position in SB 16 to replace the LPA audit on the cost of providing educational opportunities in FY 21 with an LPA audit on the unencumbered cash balances held by school districts. Accept the House position in SB 16 on transfers from the state general fund to the capital improvement fund for fiscal years 20, 21, and 22. The Senate asked the House to give consideration to the Senate position on evidence-based at-risk programs. The Senate is holding all their other positions including the funding response to the Gannon decision. In a quick meeting, the House agreed to take the Senate positions on the ACT, the LPA audit, and the capital improvement transfers (which were the actual House positions originally). The meeting then devolved into a debate over funding and approaches to funding with Sen. Baumgardner explaining that the Senate position was that of the State Board of Education and the Governor and would likely satisfy the Court’s Gannon ruling and Williams arguing that the legislature should be targeting funds and controlling how they can be spent because, according to her, schools are getting worse, not better. The meeting had to end by 4:00 since the Appropriations/Ways & Means conference committee had the room reserved for their meeting. They will meet again tomorrow morning at 9:00. Resolutions and Reports; Conference Committee Time! This is the time in the legislative year when there is plenty of down time as conference committees meet to work out differences in bills and then rush those reports back and forth for floor votes. That means there is time for honoring folks and today was no exception. In the House this morning we listened with interest to resolutions honoring championship high school sports teams. We love high school sports. Our own children participated in high school wrestling, baseball, track, soccer, cross country, bowling and golf – activities that taught them teamwork, cooperation, sportsmanship and many more of the “soft skills” so talked about by legislators and educators today. 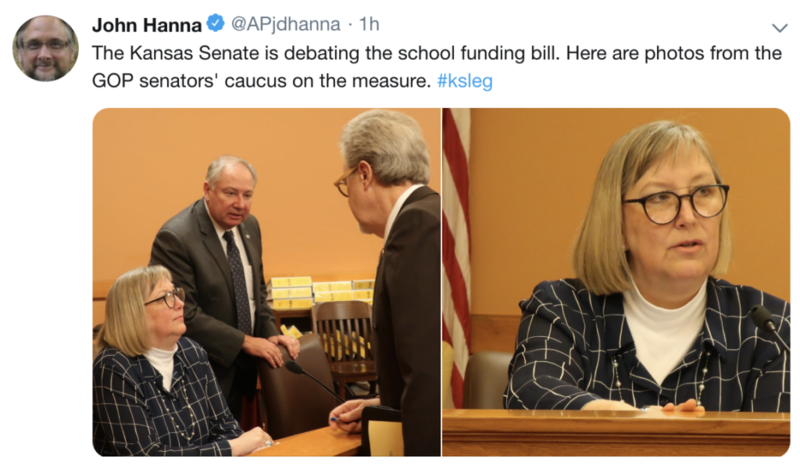 Of course it is not lost on us that the chairs of the House and Senate Education Committees have introduced a school finance bill that would prohibit the expenditure of any state education aid on athletics. Honoring the teams while considering banning the funding seems a tad…what’s the word we’re looking for? There was also a resolution honoring the University of Kansas for 150 years of excellence the reading of which was concluded with legislators calling out “Rock Chalk Jayhawk!” Pretty soon they’ll begin conversations about the recommendation by Governor Brownback that millions of dollars in cuts to our universities continue for another year to shore up the budget collapse brought on by his reckless tax policy. Oh well, we can only hope that the resolutions honoring our student athletes and excellent universities that they adopted today will give them pause as they consider legislation to ban athletic funding, mortgage our preschool funding, and cut our universities. Adjustments to some fees charged by the Board of Regents. This conference committee report must now go to the House for consideration. That may happen later this evening. 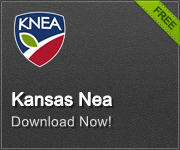 Click here to read the conference committee report. How do conference committees work? Conference committees are established to work out differences in the versions of bills passed by both chambers. 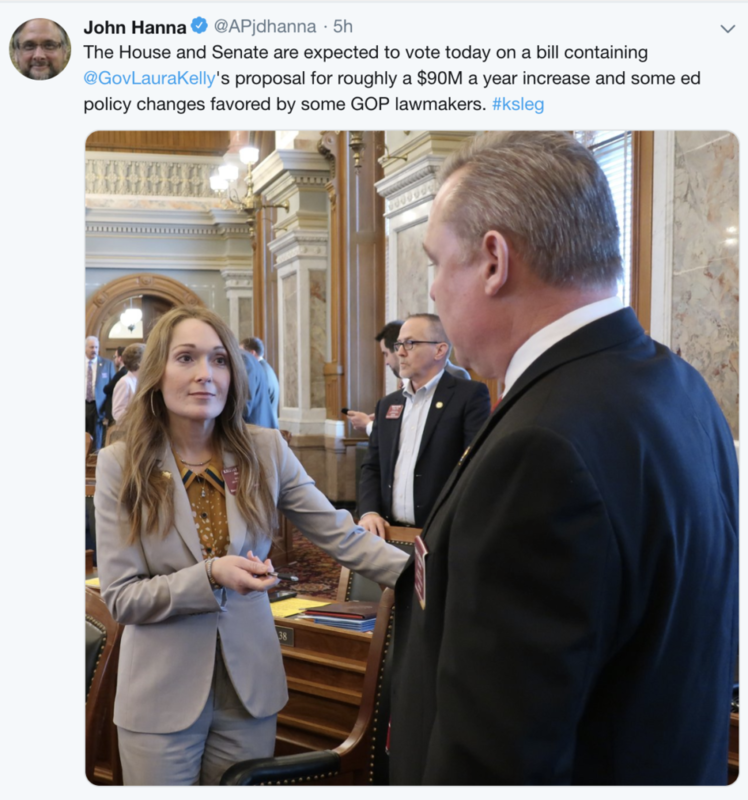 Since each chamber has the opportunity to amend and vote on every bill, if the same bill comes out of the second chamber in a form different from what was passed by the first chamber, a conference committee negotiates a compromise bill. Conference committees are made up of three Senators and three Representatives. Usually they are the Chair, Vice-Chair, and Ranking Minority Member of the committees that worked the bill. If the conference committee report (CCR) is in a House bill (See CCR 2622 mentioned earlier), then it must be adopted by the Senate before returning to the House. Likewise, if it is in a Senate Bill, it goes first to the House for approval. To be voted on by the chamber, all six members of the conference committee must sign the bill unless they “agree to disagree.” Often the minority party members will not sign a report due to some poison pill being inserted into the report. If a report comes with only four signatures, the full chambers must adopt a motion to “agree to disagree” after which the report needs only four signatures for a vote. If the motion to agree to disagree is not adopted, the report goes back to the conference committee where it can be re-negotiated to get the six signatures. Yes, the whole back and forth and voting to agree to disagree reminds us of a Bob Hope quote in the film The Lemon Drop Kid (based on a story by Manhattan, Kansas native Damon Runyon): “I swore on a plate of black eyed peas and candied yams…it’s messy, but it’s binding.” The whole conference committee process to an outsider may appear messy…but it’s binding.